Which processor suits your application best? 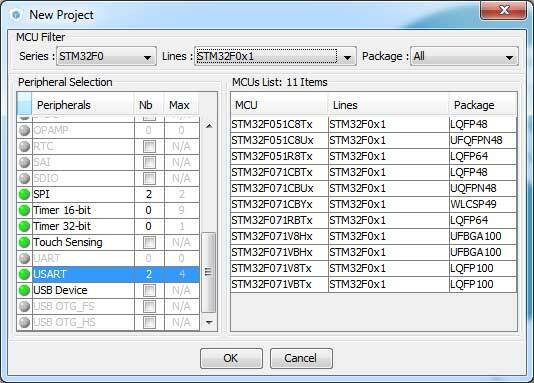 Although the STM32CubeMX program only works for STM32 processors, it is a very helpful tool to find the processor that suits your needs. Unfortunately it is only available on Windows. 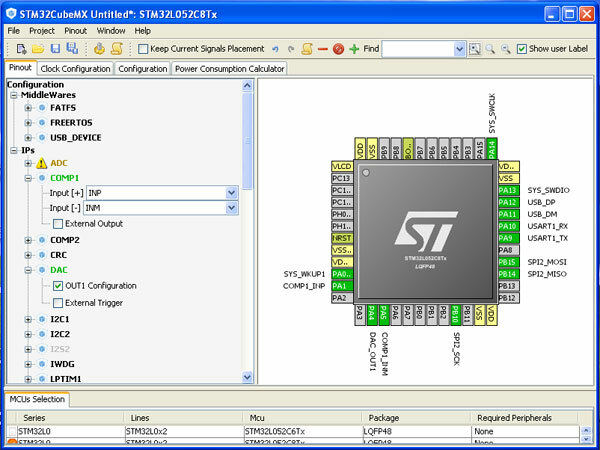 Generate C code for configuration of the chip according to selected pinout. Includes RCC configuration. Find the processor that suits your peripheral needs. Assign processor pins easily without causing conflicts.